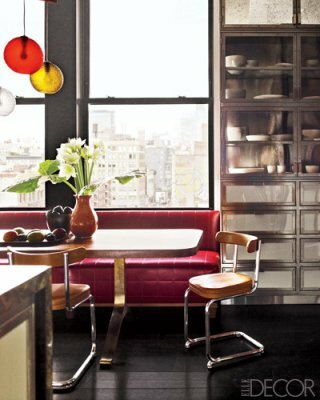 Mix and Chic: Home tour- An eclectic Manhattan apartment! 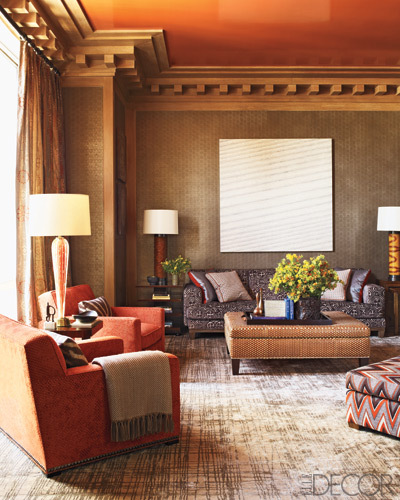 Tailored, streamlined and eclectic, this luxurious apartment feels warm and inviting. Which one is your favorite room? Is there anything that catches your eye? Did you find anything inspirational? The lights over the dining table are beautiful. I have spotted the orange bar before but haven't seen the rest of the apartment. It is as bold as the bar, and it is great to see the whole thing. 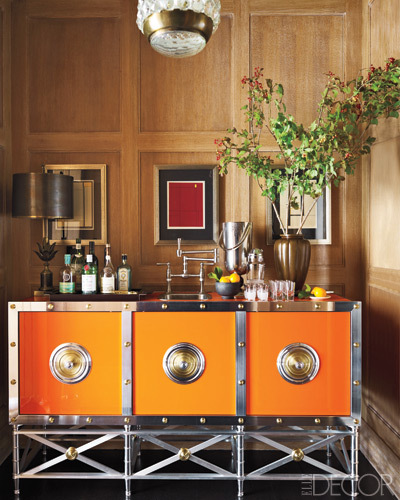 I love the industrial cupboards in the kitchen - awesome. Hello my lovely! Sorry haven't been around much, seriously lacking blogging time recently but I do love love love to visit here! This is one COOL place! Just the other day I came across that dining room with those funky lights and was wondering where the image was from. So glad I know now! A fabulous place with fabulous style! 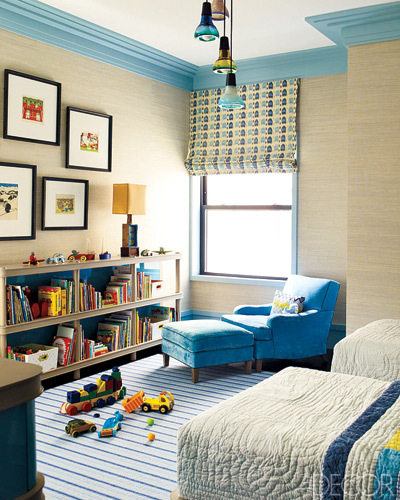 I love the little boys room - so sweet! 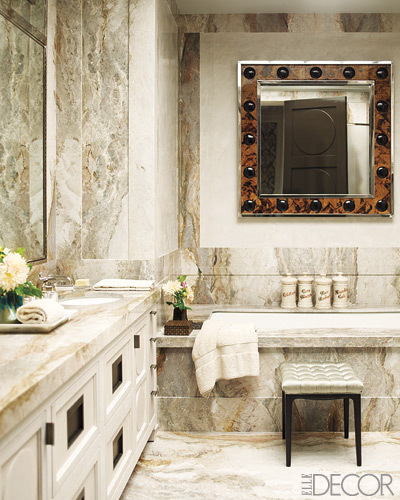 love the amazing bathroom in stone, so luxury ! That giant mirror and the bathroom are so great. I love what a statement they make. Beautiful! This is a beautiful home, Jessie. I love the textures and subtle patterns in the formal living/dining room, and the gorgeous light fixtures above the table. The master bedroom is another space that appealed to me, with its sumptuous area rug and incredible headboard. Definately my style. That little boys room is spot on! 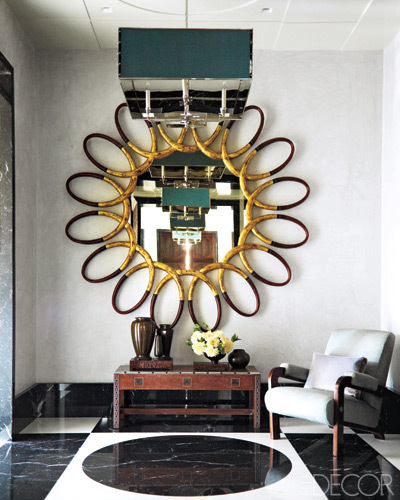 Ooh love everything here...that mirror especially! ALL the light fittings in this house are fabulous! Love, Love, LOVE! I really had to pause at the little boys room. I like how the blue was repeated throughout the room- crown mldg, back of book case, etc. 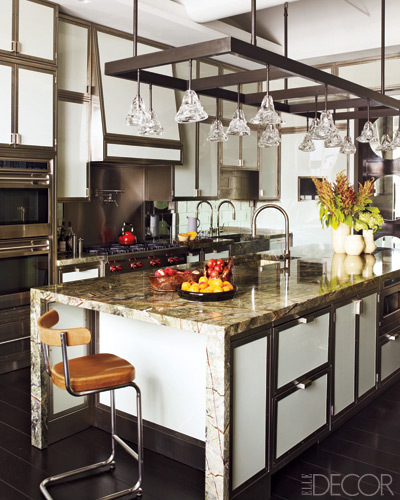 I adore the kitchen and the stone work in the bathroom!!! I really like the mature color pallets of the kid spaces. Must Pin! Once again...that blue and beige bedroom is so fine :) Such a clean look.